Below you fill find all funeral homes and cemeteries in or near New Kensington. Suburbs of New Kensington: New Kensingtn, Alcoa Center, Arnold, Barking, Lower Burrell, Parnassus. New Kensington is also known as: Westmoreland County / New Kensington city. Their current mayor is Mayor Tom Guzzo. Zip codes in the city: 15068, 15069. Some of the notable people born here have been: Greg Meisner (american football player and coach), and John Pallone (politician). New Kensington, known locally as New Ken, is a city in Westmoreland County in the U.S. state of Pennsylvania, situated along the Allegheny River 18 miles (29 km) northeast of Pittsburgh. The population was 13,116 at the 2010 Census. The mayor is Tom Guzzo (D), elected in 2009; he succeeded Frank Link (D), elected in 2001. It was disclosed by The Daily Journal on September 5th, 2018 that Leo Sarao passed away in Vineland, New Jersey. Sarao was 64 years old and was born in New Kensington, PA. Send flowers to express your sorrow and honor Leo's life. It was disclosed on March 14th, 2018 that Rosina B "Phyllis" Phillips (Bello) passed away in St Petersburg, Florida. Ms. Phillips was 97 years old and was born in New Kensington, PA. Send flowers to share your condolences and honor Rosina B "Phyllis"'s life. It was revealed on March 10th, 2018 that Georgia Fogelson (Bender) died in Rancho Mirage, California. Ms. Fogelson was 77 years old and was born in New Kensington, PA. Send flowers to express your sorrow and honor Georgia's life. It was written by Sarasota Herald-Tribune on December 28th, 2017 that Edward Joseph Jr Bush died in Sarasota, Florida. Bush was 75 years old and was born in New Kensington, PA. Send flowers to express your sympathy and honor Edward Joseph Jr's life. It was noted by Chicago Tribune on September 24th, 2017 that Marcia Mary Frack (Meyer) passed away in LaGrange, Illinois. Ms. Frack was 78 years old and was born in New Kensington, PA. Send flowers to express your sorrow and honor Marcia Mary's life. It was written on September 17th, 2017 that Mary Lou Dupell died in Tampa, Florida. Dupell was 88 years old and was born in New Kensington, PA. Send flowers to share your condolences and honor Mary Lou's life. It was reported on July 26th, 2016 that William Stewart Mitcheltree passed on in Tampa, Florida. Mitcheltree was 63 years old and was born in New Kensington, PA. Send flowers to share your condolences and honor William Stewart's life. It was noted by Cincinnati Enquirer and Cincinnati Post on April 10th, 2016 that Monte H Gradolf (Hanna) passed on in Cincinnati, Ohio. Ms. Gradolf was 82 years old and was born in New Kensington, PA. Send flowers to express your sorrow and honor Monte H's life. It was written by Orange County Register on April 8th, 2016 that Raymond Carl "Ray" Venter passed on in Catherdal City, California. Venter was 78 years old and was born in New Kensington, PA. Send flowers to express your sorrow and honor Raymond Carl "Ray"'s life. It was reported by The News Tribune on July 25th, 2015 that Judith Sales (Bril) passed on in Sequim, Washington. Ms. Sales was 66 years old and was born in New Kensington, PA. Send flowers to express your sorrow and honor Judith's life. 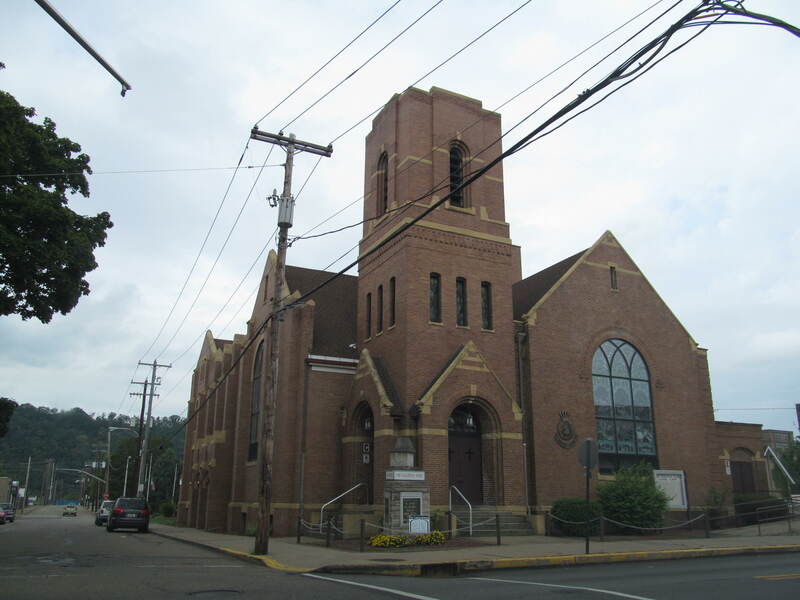 New Kensington is a city in Westmoreland County, Pennsylvania County, Pennsylvania, 18 miles (29 km) northeast of Pittsburgh, on the Allegheny River. In 1900, 4,665 people lived in New Kensington, Pennsylvania; in 1910, 7,707; in 1920, 11,987 in 1930 and 24,055 in 1940. The population was 14,701 at the 2000 United States Census Census. . . Regarding the Chesapeake Bay, someone said it is not the time to create new debts. I agree ... to the question about greater Williamsburg getting another preschool: The Kensington School, Preschool and Child Development Center will open Jan. 3. Mr. Hamlin was born November 15, 1948 in Sharon, Pennsylvania ... Nuclear Society), c/o Sharon Kerrick, 555 North Kensington Ave., LaGrange Park, Illinois 60526. The family will receive friends at the funeral home from 6:00 till 8:00 P.M. Thursday. Listing all funeral homes in New Kensington, Pennsylvania so you can easily send flowers to any location (same day delivery) or find any funeral service. We work with local florists and flower shops to offer same day delivery. You will find budget sympathy flowers in New Kensington here. Our funeral flowers are cheap in price but not in value.